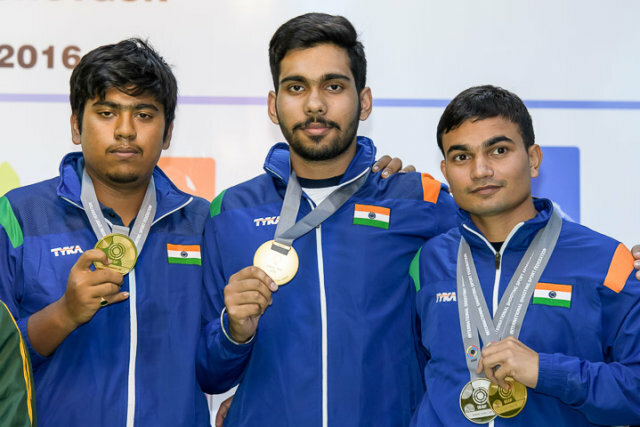 Indian shooters enjoyed another successful day at the ongoing ISSF Junior World Cup, bagging five medals including three gold in Gabala, Azerbaijan. The Indian tally now stands at 23 medals at the end of the fourth day of the competition. India has won a total of nine gold medals in the competition so far to be ranked second in the medals table behind Russia. On Wednesday, India won two team gold medals in the Men’s and Women’s 25m Pistol events, while the third gold of the day came through Anhad Jawanda in the individual Men’s 25m Pistol. The day’s only silver medal came through Gurmeet who made it an Indian 1-2 in the Men’s 25m Pistol. Anhad and Gurmeet had teamed up with Arjun Das for the team gold in the event. 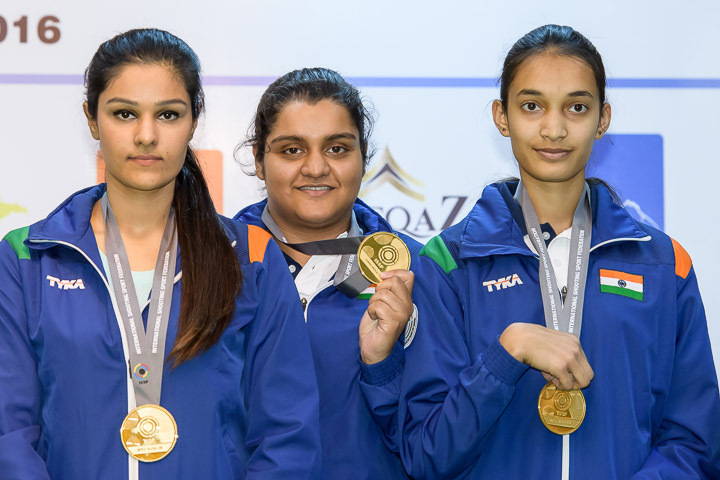 In the women’s 25m Pistol event, Chinki Yadav, Gauri Sheoran and Sanjana Sehrawat won the team gold for India with a combined score of 1701. Chinki and Gauri also reached the individual competition finals along with Muskan, where Chinki qualified for the bronze medal play-off. But she eventually lost out to Anna Dedova 7-3 to be placed fourth. Margarita Lomova of Russia won the gold in the event, which was also her second individual gold of the competition. Miroslava Mincheva of Bulgaria got the silver. India’s only bronze of the day came in the women’s Trap competition through the team comprising Pragati Gupta, Soumya Gupta and Manisha Keer. In the junior men’s 50m Rifle 3 Positions event, Subhankar Pramanick reached the final round with a qualifying score of 1139 points, but had to be content with the eighth position in the final standings.